From Your Sea-Doo Parts Headquarters. 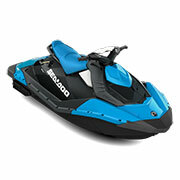 Huge Selection of Sea-Doo parts. 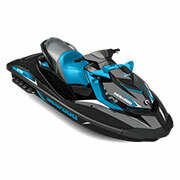 Sea-Doo SP Parts, Sea-Doo Wake Parts, Sea-Doo 150 Speedster Parts, Sea-Doo 200 Speedster Parts, Sea-Doo 205 Utopia Parts. Sea-Doo parts warehouse, Sea-Doo XP Parts, Sea-Doo Utopia SE Parts, Sea-Doo 180 Challenger Parts, Sea-Doo 230 Challenger Parts, Sea-Doo Islandia SE Parts. 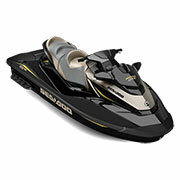 Sea-Doo Sportboat Parts including, Sea-Doo Speedster Wake Parts, Sea-Doo GT Parts, Sea-Doo 230 Wake Parts, Sea-Doo XP DI Parts, Sea-Doo RX DI Parts. When shopping for solutions for your favorite vehicle, you need a trusted source for products. With our selection of Sea Doo OEM parts, you can find the right selection for all the needs of your make and model. We offer one of the most diverse selections covering a range of models from the manufacturer of this lineup, as well as options from their other popular offshoots, to ensure you get the right solution without hassle or headache. The Bombardier Recreational Products (BRP) manufacturer offers some of the best options on the market for recreational vehicles for land, water, and snow. With their watercraft brand (Sea Doo) and their snowmobile brand (Ski Doo), as well as their Can Am brand of motorbikes and all-terrain vehicles, you can have fun both on land and on the water with one of the most innovative manufacturers on the market. With our selection of Ski Doo OEM parts, you can be ready for anything this winter throws at you. We offer parts, accessories, and apparel for all of the popular models and variations of this brand, so you can traverse snowy terrains with ease and safety. Whether you need a helmet to stay safe or a specially lined jacket to stay warm while riding in the snow, our inventory has it all. When looking for options for the water, our Sea Doo OEM parts, accessories, and apparel are the perfect solution. From wetsuits to dry bags, we have it all right here. For options covering their land brand, you will find it with our collection of Can Am solutions. Whether shopping for Ski Doo OEM parts or Can Am accessories, we have you covered with our wide selection covering all of the most sought-after brands from the BRP company. Regardless of which brand or model you are shopping for, rest assured we offer high-quality solutions for all areas as an authorized dealer, so you can buy with confidence. 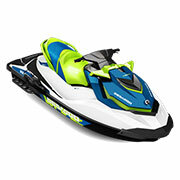 At Sea Doo Parts Nation, we work hard to get you the products you want at the speed you expect. We ship with UPS, USPS, and FedEx to help get your order processed and shipped to your location in the most cost effective and fastest method available. If you have any questions while shopping with us, please reach out for further assistance, and a member of our team will gladly assist you.